Rooms from $37.60 per night. 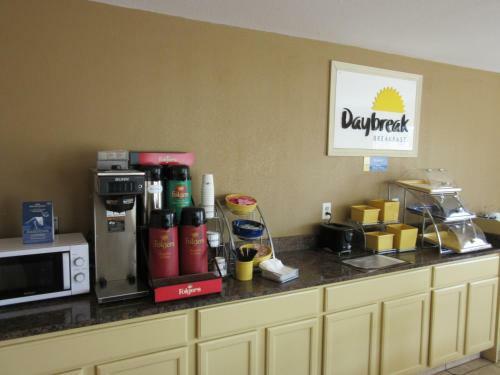 Free parking an outdoor pool cable/satellite TV free Wi-Fi and buffet breakfast at the Days Inn Wheeler Road make our guests' vacation dollars last longer in Augusta. 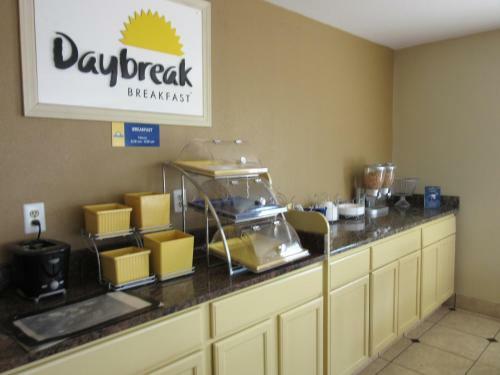 The two-story Days Inn has 55 rooms that come with microwaves refrigerators coffeemakers and in-room safes. AM/FM clock radios cable TV and free Wi-Fi are also provided. Non-smoking rooms are available. Start your day with a buffet breakfast and complimentary newspaper and take time to enjoy the outdoor pool in season. On-site conveniences include a 24-hour front desk business services and a guest laundry. Parking with space for RVs and trucks is free. 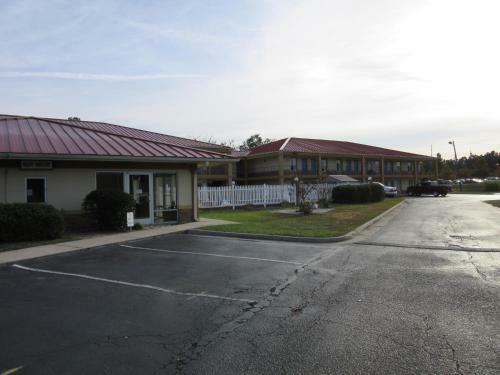 Days Inn Wheeler Road is conveniently located between I-20 at Exit 195 and I-520 at Exit 1C. The famous Augusta National Golf Club home of the Masters Tournament is three miles from the hotel. Augusta Mall is also three miles away. Fort Gordon a busy army training center is a five-mile drive. The Medical College of Georgia is a 10-minute drive and the Augusta Canal downtown Augusta and the Riverwalk are within 20 minutes of the hotel. Augusta Regional Airport is a 14-mile drive. Add Days Inn By Wyndham Augusta Wheeler Road to your free online travel itinerary.